The Freeman Center - Maccabean Online - Women in Green: Annex Judea and Samaria! Women in Green: Annex Judea and Samaria! The Women in Green movement is calling on the Israeli government to immediately annex Judea and Samaria. The call came in response to the application by the Palestinian Authority Thursday for status as a non-member observer state at the United Nations General Assembly. Following the expected vote to approve the PA's application on Thursday, the WIG movement “calls upon the Israeli government to respond with the immediate application of Israeli sovereignty over all Judea and Samaria,” they said. “The movement is supporting this request with a massive media and public campaign headlined by the declaration that the application of sovereignty over Judea and Samaria is a necessary step. Nothing can be more authentic, Zionist, justified, and Jewish than such a move. The campaign incorporates a shortfilm from the second conference for the application of sovereignty that was held this summer in Hevron, with the main statements by Minister Daniel Hershkowitz, MKs Elkin, Hotoveley, Regev, and Ariel, as well as public figures Geulah Cohen, Caroline Glick, Adv. Dafna Netanyahu, Adv. Itzik Bam, head of the Samaria Regional Authority Gershon Mesika, Yoram Ettinger, and Adv. Howard Grief,” they continued. The two called upon activists to exert direct pressure on the Prime Minister's Office with the demand to take steps to apply sovereignty as a response to the Palestinian move. "The historical sites of the Jewish people are in danger, and we must systematically exert pressure on the Prime Minister to act in response to the UN resolution with the application of Israeli sovereignty over Judea and Samaria,” they said. (Contact information for the Prime Minister's Office: telephone: 972-2-6705518 fax: 972-2-5605000 or 972-2-5664838). "Two weeks ago we saw that Israel has advanced defensive means, but all of our sophisticated technology will be of no avail if we will not internalize that this is our land,” they added. 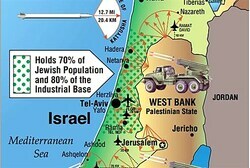 “The war over the Land of Israel is a moral and justified one. We will win it. The command of the generations beats within us, and the voice of the L-rd, in our ears: 'I will give this land to your offspring ... and to your offspring after you for an everlasting possession.'"